What do Woody Guthrie, Johnny Depp, and historian Douglas Brinkley all have in common? 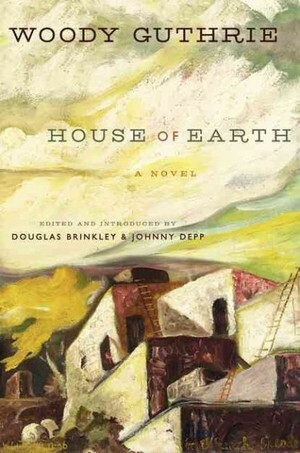 Guthrie’s only known novel, House of Earth. Brinkley, in one of those moments of discovery that scholars live for, stumbled across a reference to the work while doing some research. He, along with Guthrie’s daughter Nora, were the first to read the unpublished novel. The manuscript was taken to Brinkley’s friend and publishing partner, the actor Johnny Depp, who has created the new imprint “Infinitum Nihil” at HarperCollins. The other reason Guthrie likely could not find a publisher is because of the political climate of the time. The “Red Scare” was in full force and the book, “both a love story and a polemic against the bankers and businessmen [whom] Guthrie blamed for keeping the poor, poor” was not a message that would find a buyer.